Stop back often! 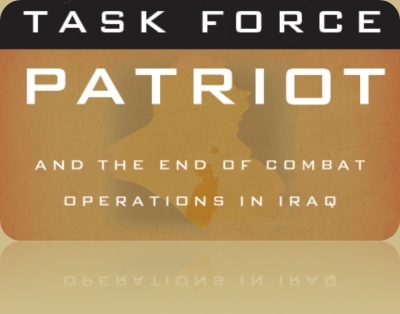 We are constantly adding pictures, video, and audio clips, news stories, and links related to Task Force Patriot and the End of Combat Operations in Iraq. 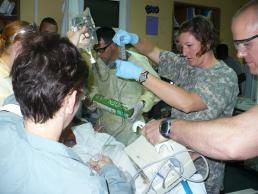 This news story and the associated photos, produced by the Dragon Brigade public affairs team, describes the efforts of Task Force Patriot soldiers to save lives in the aftermath of the suicide bombing that killed Lt.Col. 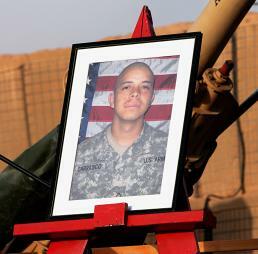 Ahmed Subhi al Fahal, a key figure in Task Force Patriot and the End of Combat Operations in Iraq. This news story and the associated photos, produced by the Dragon Brigade public affairs team, detail an NCO induction ceremony conducted by Task Force Patriot at COB Speicher, Iraq in December 2009. During the ceremony, fallen Proud American, Cpl. Tony Carrasco was honored. 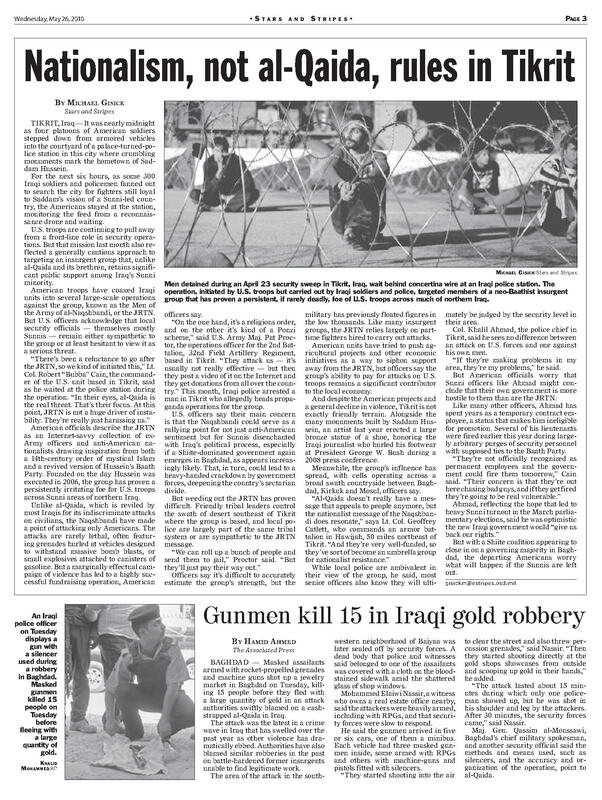 This news story and the associated photos, produced by the Dragon Brigade public affairs team, detail artillery training conducted in May 2010 by Task Force Patriot in preparation for its redeployment to the United States. In this video, taken by the Dragon Brigade public affairs team, Task Force Patriot author Pat Proctor talks about being deployed during the holidays, how his family copes with it, and how technology helps them to be together. Task Force Patriot brought Ron Verdonk, the senior USDA representative from Baghdad, to see Sheikh Sabah Muntasir Diab al Shimiri, a central character in Task Force Patriot, at his farm in al Hamerine. This raw footage taken by a Salah ad Din Television reporter, was later turned into a news story about the visit to raise Sheikh Sabah's stature. Pictures of this visit are also available here. 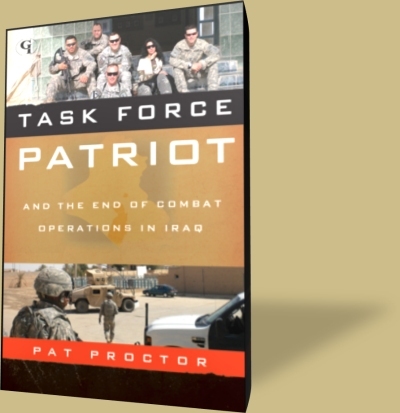 Throughout his deployment with Task Force Patriot, author Pat Proctor uploaded dozens of photos to his Facebook page. They are all still available, click here. The Atlantic's Sarah Stillman published this story about her travels with Task Force Patriot (2nd Battalion, 32nd Field Artillery Regiment) in Iraq in early 2010. 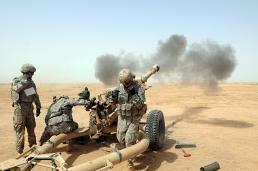 These events are also discussed in Pat's new book, Task Force Patriot and the End of Combat Operations in Iraq. 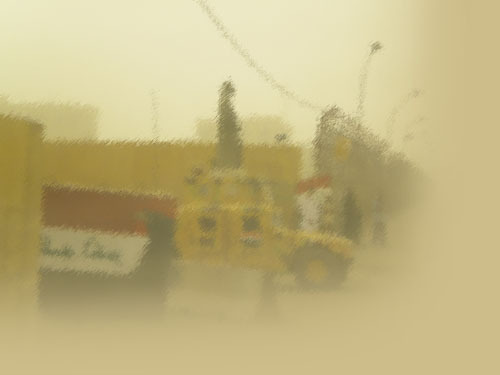 "Tea and Politics: Scenes From Our New, Awkward War in Iraq"
Pat Proctor talked to embedded reporter Michael Gisick of Stars and Stripes during Operation Vigilant Patriot, a combined US/Iraqi Police/Iraqi Army operation in Tikrit in April 2010. 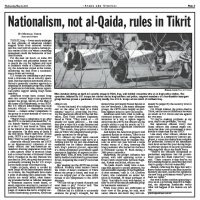 To see the online version of this article (Middle-East edition, 26 May 2010, Page 3), click here. This article, written by Pat Proctor and published in Military Review, the journal of the US Army Command and General Staff College, describes the new planning paradigm the Task Force Patriot staff used during its year in Iraq. For more, click here.